ASSAY LAB MACHINERY: Electronic analytics scale to weight the sample of gold. Vibration damping table for gold assay, Electric muffle furnace for precious metals assays by cupellation, special motorized working bench for rolling and annealing the assay sample, assay hoods for the separation , ashes assay furnace. 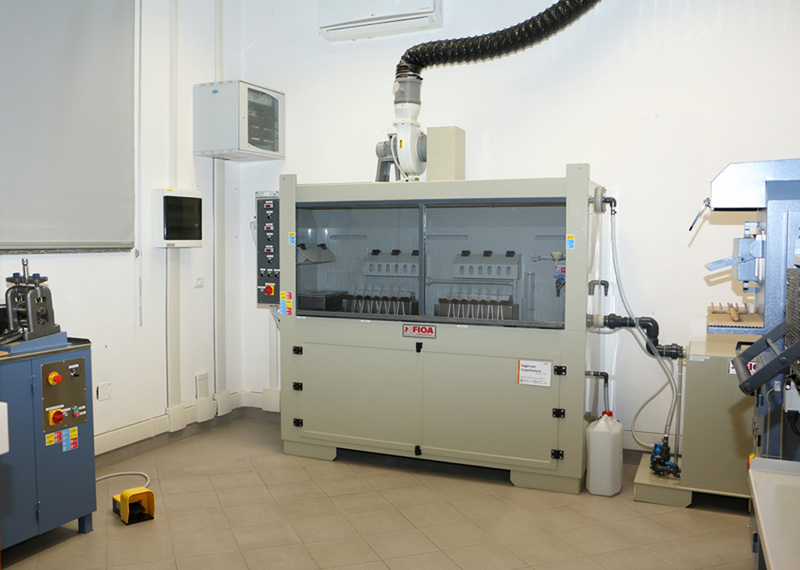 VIBRATION ISOLATION TABLE FOR ELECTRONIC SCALES TO BE USED IN THE ASSAY LAB ORATORY Structures in tubular steel profiles conform to UNI 7947 and to UNI 5866 standards. GOLD PARTING HOOD WITH 12 POSITION FOR ASSAY LAB , COMPLETE WITH RECYCLING TANK. This separation hood is used to separate silver from gold. also available in the 6 position version .